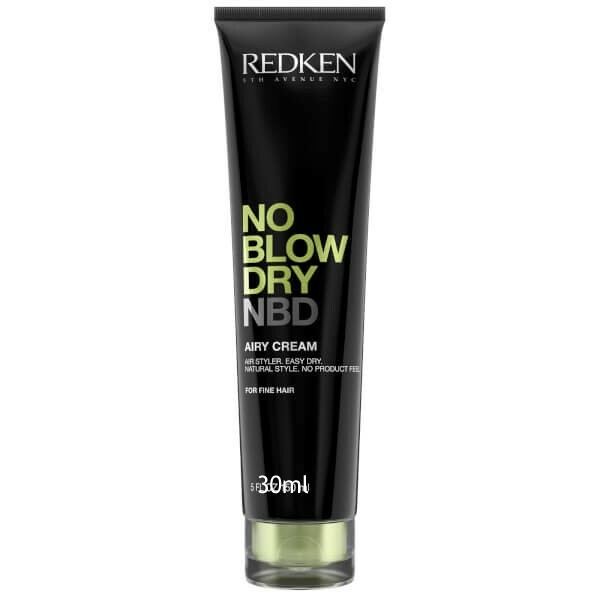 PROVIDES A QUICK AIR-DRY WITH EFFORTLESS MANAGEABILITY AND FRIZZ CONTROL. APPLY NBD, CREATE ONE LOOSE BRAID AND LET HAIR AIR-DRY. UNDO BRAID AND SHAKE OUT HAIR. APPLY NBD AND CREATE TWO OR MORE BRAIDS, DEPENDING ON HAIR’S THICKNESS. LET HAIR AIR-DRY, THEN UNDO BRAIDS AND SHAKE OUT. APPLY NBD, CLIP HAIR BEHIND YOUR EARS, AND AIR-DRY. UNCLIP AND GENTLY TOUSLE. APPLY NBD, TWIST HAIR INTO A HIGH TOPKNOT, AND AIR-DRY. UNDO TOPKNOT AND GENTLY BRUSH. APPLY NBD, TWIST HAIR INTO TWO LOW BUNS, AND AIR-DRY. UNDO BUNS AND GENTLY BRUSH. APPLY NBD, SCRUNCH HAIR TO BRING OUT TEXTURE, AND AIR-DRY. APPLY NBD, GENTLY TWIST CURLS INTO SHAPE WITH YOUR FINGERS, AND AIR-DRY.